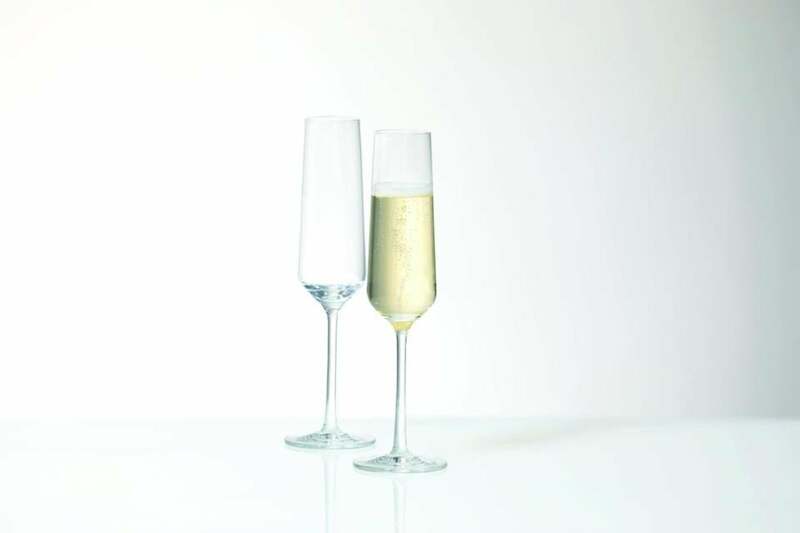 Tall, slender flutes from Schott Zwiesel’s Pure collection are pleasing to hold and look elegant when the table is set. At 10 inches high, and with six effervescence points etched inside the bowl to keep bubbles moving, it’s a wonderful glass for toasting special occasions ($14). Because of their height and delicate look, you might fear they will easily break and require hand washing. But no, the German company is known for durable stemware made of Tritan crystal, a mix of titanium and zirconium. They won’t chip or scratch and are shatter-resistant, and their stems won’t snap off in the dishwasher. Wash them even a thousand cycles and they keep their luster. Available at Greentail Table, 343 Watertown St., Newton, 617-244-3510; Didriks, 77 Leonard St., Belmont, 617-354-5700 and 2284 Washington St., Newton, 617-467-4847; Kitchen Outfitters, Acton Woods Plaza, 342 Great Road, Acton, 978-263-1955; Sur La Table locations.